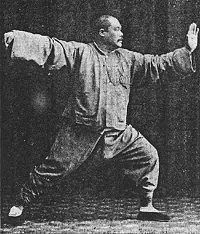 A student of mine found out through her personal trainer that some people teach and do “Fast T’ai Chi,” which lead to an interesting conversation and series of questions about why we perform T’ai Chi Chuan slowly and why slowness is the fundamental character of authentic T’ai Chi Chuan practice. Slowness isn’t the goal; rather it is the most effective tool to uncover the real secret of T’ai Chi Chuan: softness. To go slow requires a person to maintain a state of heightened physical softness, which the ancients refer to as “Song”—a relaxed but dynamic physical and mental state. Song has a number of by-products as well: to be relaxed allows for greater physical rooting for balance; it opens the joints to increase circulatory flow through the limbs; it balances the energetic channels of the body; and the practitioner is able to feel his or her own body with greater depth, subtlety, and sensitivity. The health benefits of T’ai Chi are enhanced through the slowness, and as an exercise, it is much more demanding to go slow than fast. Try this experiment. Grab something and lift it quickly. Now do the same thing but with a deliberate, even slowness. Which way was more challenging? Which was used more muscles? Which required more focused awareness? Slowness not only amplifies the physical action, it integrates body and mind. As a martial art, too, slowness is vital. If a person responds to something like a punch with deliberate slowness, then the reaction will miss the mark, and the person will have a bruise from the punch. Yet, remember, slowness isn’t the goal in T’ai Chi. Training the body to maintain a state of Song, a relaxed yet dynamic state, it the goal. When someone is in a state of Song, the senses are heightened, and the ability to physically respond is enhanced. Another experiment: Clench your fist, then reach for something. Now relax the hand and repeat the same action. Notice how in the first example the tightness of the body must first be released in order to act. Speed and response time decreases when the body is tense. Song is the foundation for speed and increases reactive timing, which is evident when a swimmer or a runner relaxes at the “on your mark” at the start of a race. The racer relaxes in order to better respond to the start with greater immediacy and speed. So slow down. Relax. And make your T’ai Chi better—not more aerobic—and in order to discover the secrets in the state of Song.